Etienne Tshisekedi, the new President of the Democratic Republic of Congo (DRC) has said that neighboring countries should consider building bridges that join them, instead of building walls that separate them. Tshisekedi is in Rwanda since Sunday. 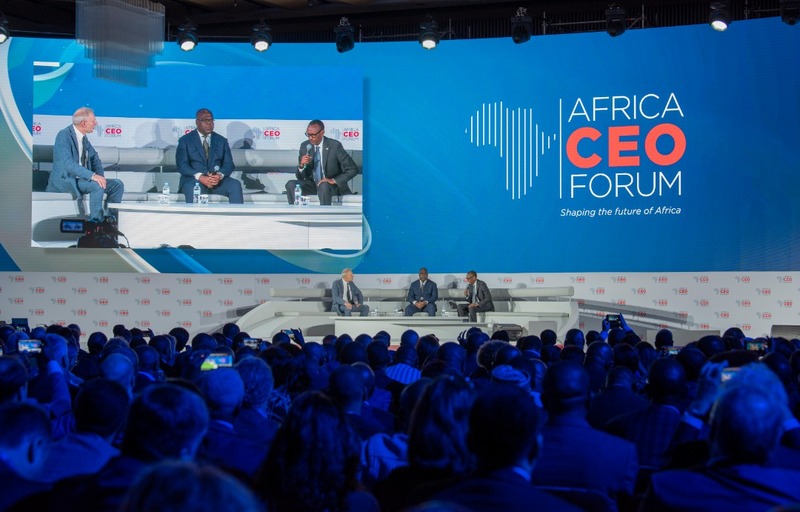 He responded to the invitation by his Rwandan counterpart Paul Kagame to participate in the Africa CEO Forum that concluded on Tuesday. The DRC’s head of State attended the forum coming from Uganda where he met President Yoweri Kaguta Museveni whom, Rwanda has repeatedly said, is fueling a conflict against it. Tshisekedi, however, said that it is paramount for neighbors to be in harmony rather than quarreling. He gave an example of his country where in the past, armed groups kept regrouping and sabotaging Rwandan security and said, both countries are looking forward to a new peaceful and comradely era. “In fact we have this principle: while for us we shall pass, our countries will remain neighbors forever. Creating conflict against each other is a waste of time that we rather should put to good use to build,” Tshisekedi said. As of the armed groups in DRC, there are many which have been infiltrating into Rwanda in the late 1990s, 2000 and beyond, stealing from border communities and in some instances, killing some people. One of them is an armed group which includes some elements that perpetrated the Genocide against Tutsi in Rwanda in 1994. It branded itself as the Democratic Forces for the Liberation of Rwanda (FDLR). “Let me say that by the look of things today, they have turned weird business people who come, kill a community just to explore a mining site. We want to withdraw them from there,” Tshisekedi said. He agreed that there are still some dangerous groups, but both heads of State are committed to dealing with them together. Patrick Smith, Managing Editor of Africa Report who moderated this session also asked President Kagame almost the same question of peace and stability between Rwanda and DRC. “We need to cooperate because in many cases, problems of Rwanda end up to be problems of DRC and citizens of DRC and vice versa. 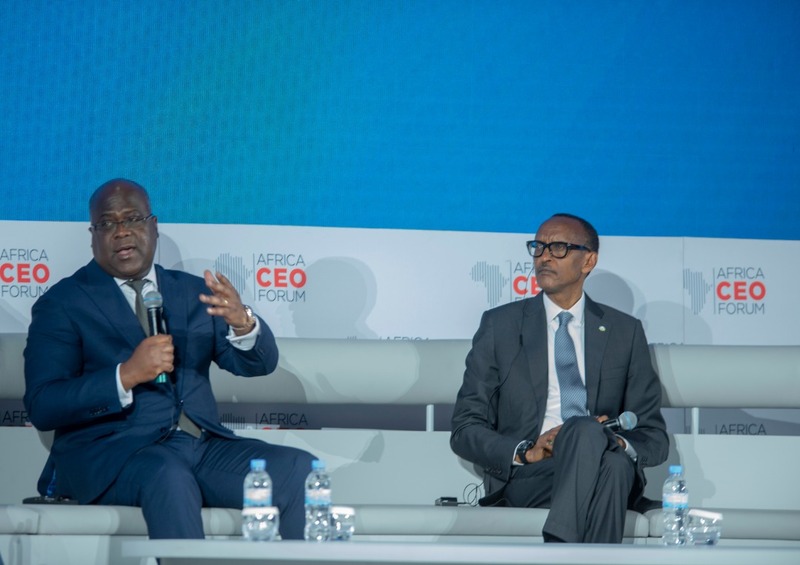 However, there are sufficient possibilities, resources to be able to deal with these issues,” Kagame said while commending Tshisekedi for his commitment to build peace. “With the commitment he has made to his people and the region, we have to believe him and extend our hand of cooperation to him as he does his to us,” Kagame said. 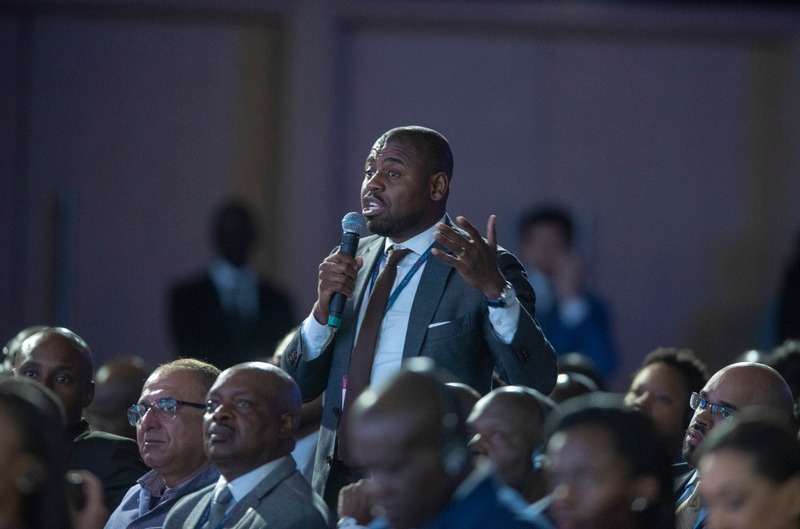 In this session, it became clear that Rwanda and DRC are aimed at developing trade with each other, and exploring available opportunities that exist between both countries. President Tshisekedi mentioned a case of Methane gas in Lake Kivu which lies between Rwanda and DRC. Rwanda has already connected more than 50 megawatt to the national grid from the Lake. Other deals that Tshisekedi discussed with President Kagame are the Inga Power Plant which, the former said, has potentials to produce 44,000 megawatts if explored in its eight phases. Other 66,000 megawatts are also expected to be exploited from 200 hydro power plant in DRC. “We discussed with Rwanda and Ethiopia a possibility to supply power and we believe this would solve power issues on the continent as a whole,” Tshisekedi said. The media is still asking about Rwanda and Uganda relations and how it hinders integration. On this, President Kagame said it is unfortunate that serious business is undermined by petty things. “Some of these serious matters are undermined by petty things. If you think that you don’t like President Kagame or Rwanda because you think what should happen in Rwanda is supposed to be dependent on you, your views and decision. This is bad politics,” Kagame said. 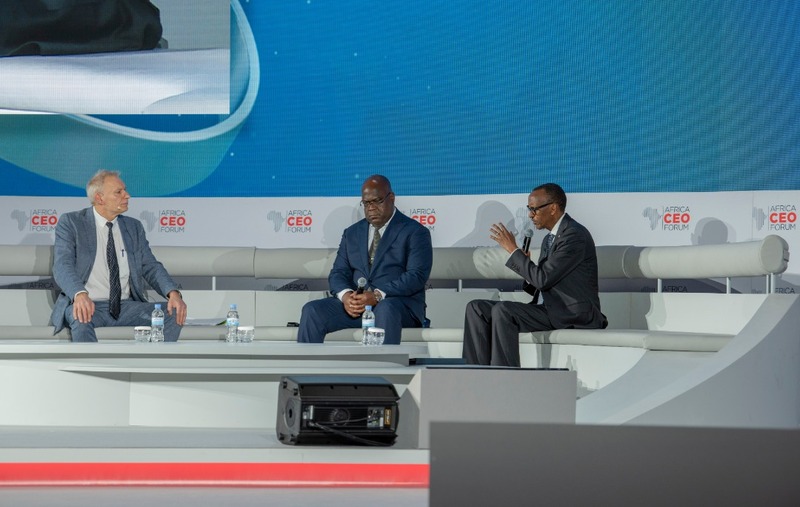 Kagame said that several countries, communities understand the need to integrate more than leaders but he said, dealing with an issue between two countries does not stop integration efforts. “While we are dealing with such problems, we keep talking about the integration. The African people are ahead of their leaders in terms of understanding integration,” Kagame said.